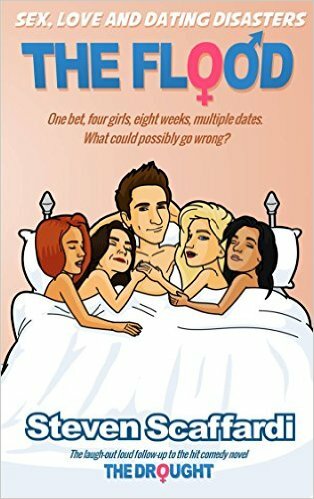 Will nice guys finish first? Or, will it be the old adage of, “nice guys finish last?” Steven Scaffardi tells this story perfectly and candidly, making me appreciate the Lad Lit genre all the more! I haven’t read the first book in this series, The Drought, as of yet, but I’m going to make it a must-read on my list. Thanks to Steven Scaffardi for the book in exchange for an honest review. 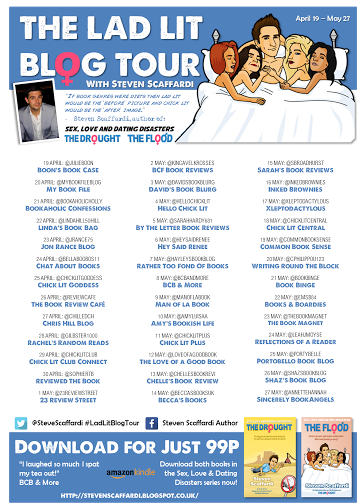 Visit the other stops on his blog tour. Both books are 99 cents for Kindle!